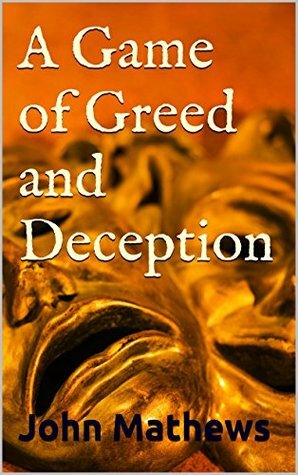 Greed is the main theme of this novel with violence and confusion to help it along its way. From the first it is obvious the wife has married for money and to get everything she plans a murder. I read on eager to see if she succeeded in her aim, or her tricks were discovered before she could kill her husband. Tammy, Stephen and Maria, Stephen’s ten year-old daughter, travel to a remote cabin in snow covered mountains where the husband disappears leaving Tammy to pretend she’s frantic with worry. She also has to convince Maria her only worry is Stephen has become lost in the snowstorm. Strange happenings convince her that Stephen is still alive and trying to frighten her, while Maria tries to discover where her father is. The concept of this story is excellent, and intriguing for suspense and mystery buffs. Unfortunately my eagerness to read the book faded as the story jolted from one point of view to another creating confusion and interrupting the flow to a point where II therefore found it difficult to get involved in the storyline. Gore, suspense and mystery are all present in this book, and with a polish it would be a very good book.